Silicon has beneficial effects on many crops, mainly under biotic and abiotic stresses. Silicon can affect biochemical, physiological, and photosynthetic processes and, consequently, alleviates drought stress. However, the effects of Si on potato (Solanum tuberosum L.) plants under drought stress are still unknown. The objective of this study was to evaluate the effect of Si supply on some biochemical characteristics and yield of potato tubers, either exposed or not exposed to drought stress. The experiment was conducted in pots containing 50 dm3 of a Typic Acrortox soil (33% clay, 4% silt, and 63% sand). The treatments consisted of the absence or presence of Si application (0 and 284.4 mg dm–3), through soil amelioration with dolomitic lime and Ca and Mg silicate, and in the absence or presence of water deficit (–0.020 MPa and –0.050 MPa soil water potential, respectively), with eight replications. Silicon application and water deficit resulted in the greatest Si concentration in potato leaves. 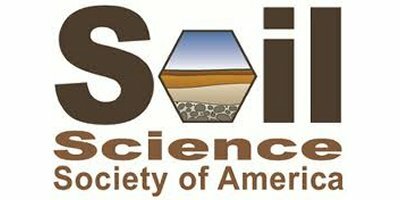 Proline concentrations increased under lower water availability and higher Si availability in the soil, which indicates that Si may be associated with plant osmotic adjustment. Water deficit and Si application decreased total sugars and soluble proteins concentrations in the leaves. Silicon application reduced stalk lodging and increased mean tuber weight and, consequently, tuber yield, especially in the absence of water stress. No comments were found for Effects of silicon and drought stress on tuber yield and leaf biochemical characteristics in potato. Be the first to comment!